The future of a proposed off-road vehicle trail system is in doubt following a federal ruling Thursday in favor of Central Oregon LandWatch. The conservation group filed the suit against the addition of a new off-road vehicle trail system on Ochoco National Forest following the signing of a final decision on the proposal in late June. Judge Marco Hernández ruled that the Forest Service failed to satisfy its legal obligation to study the environmental impacts of the trail system and to ensure that sensitive habitat for elk, wolves and native fish are protected. LandWatch said the decision solidifies an earlier ruling from Magistrate Patricia Sullivan, issued this past August. Ochoco leaders have proposed development of a multi-use trail system for off-highway vehicles in the Ochoco Summit area of the Ochoco National Forest. It would be established primarily on existing roads and trails that connect to open, mixed-use roads. The completed trail system would include a total of 137 miles of roads and trails, of which 53 miles will be newly developed. The trail system proposal originated in 2009, when the Ochoco National Forest conducted its travel management plan. The work resulted in adoption of a motorized travel system in 2011 that left about 80 percent of the forest off limits to OHV use. After hosting public meetings on the loss of OHV access, the Forest Service chose to develop a trail system proposal that would provide OHV users a suitable, enforceable and sustainable riding opportunity in the Ochocos. Development of the trail system has not come without setbacks. In the spring of 2014, the Forest Service had released its Draft EIS (Environmental Impact Statement) and later that summer released a Final EIS and draft Record of Decision for the trail system. However, those documents were then withdrawn and revised following the Bailey Butte Fire that burned parts of the Ochoco that summer. Finally, in February 2016, the Forest Service released a Supplemental Draft EIS and took public comment until April 4. Then on Sept. 22, the Forest Service released the Final Supplemental EIS and draft Record of Decision. It included five alternative trail systems ranging in distance from 124 miles to 158. Ochoco National Forest leaders then fielded about 20 objections, which came from a variety of different organizations and interests. OHV groups sought more trail mileage and access, while conservation groups and government agencies like Oregon Department of Fish and Wildlife raised concerns about impact to the environment. In its recent lawsuit, LandWatch argued that the trail system posed severe threats to elk wallows and calving sites, riparian areas, and other forest visitors' ability to hunt, fish, hike and mountain bike in the area. 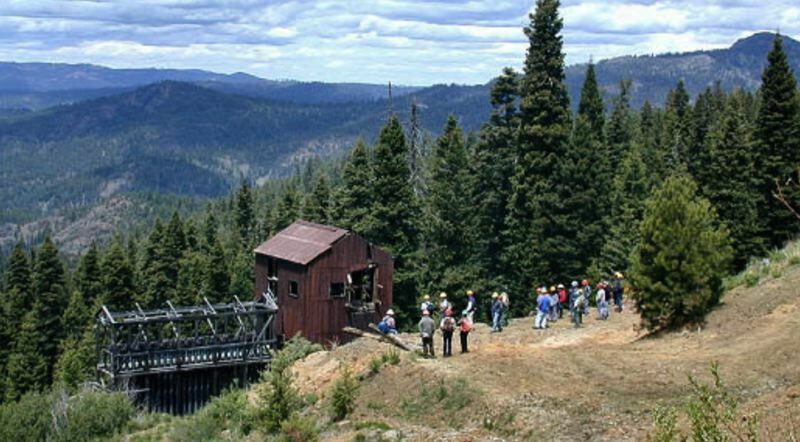 "There is unprecedented opposition to the proposed project because so many Central Oregonians have a special connection to the Ochoco Mountains," said LandWatch's Executive Director Paul Dewey. "We are pleased that the court listened to the diverse voices of the local community who have been telling the Forest Service for years that a destination OHV trail system in one of the last quiet and serene forests just doesn't make sense." LandWatch representatives went on say that the Oregon Hunters Association also filed suit to stop the project. Hunters oppose the project because it would displace big game and reduce survival rates of the elk population by constructing trails through sensitive calving and fawning areas. In addition, ODFW filed legal briefs in support of LandWatch's lawsuit, explaining to the court that when elk survival rates decrease, ODFW has to issue fewer elk tags, meaning fewer hunters can hunt big game species. Jim Akenson, OHA's conservation director, was pleased with the decision. "It's a good day for elk, hunters, and conservation," he said. "OHA is not opposed to responsible OHV use, we are just opposed to the disturbance and displacement of elk in critical habitat that would move them off public land onto nearby private land, where they would get themselves into trouble. We filed this lawsuit as a last resort." Representatives from Ochoco National Forest could not be reached for comment on the ruling by press deadline.